Welcome to the website for the Bangkok Book Awards. 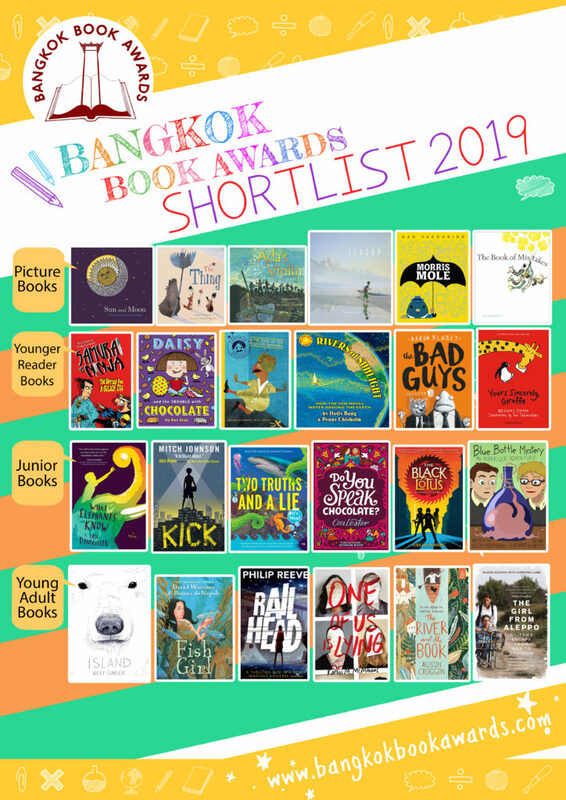 Children and students have now voted for their favourite books in the 2019 Bangkok Book Awards. Click on the Results ‘tab’ to find out who were the winners in this years vote. Click on the relevant page ‘tabs’ to find out more information about this year’s books … make sure that you check out our new category, called ‘Younger Reader Books’. next years’ shortlisted books will be posted before august 2019 – watch this space for some more great titles to read! Enjoy reading this years’ books!